Little Italy is one of NYC’s most iconic and established neighborhoods. It is also one of the city’s most colorful and traditional. Many of the restaurants and businesses here have been owned by the same families for generations. For that reason, many of the dishes served are from recipes handed down for decades. You won’t find a more authentic meal anywhere in the city! The narrow but bustling streets still retain the charm they had over 100 years ago and create the perfect setting for a relaxing lunch, dinner and dessert. Buildings from the late 19th and early 20th centuries line the block and if you’re a fan of great architecture you’ll find much to be delighted about here. Each year in September, Little Italy becomes the nerve center of the city as they hold the annual Feast of San Gennaro, a Salute to the Patron Saint of Naples. For 11 days over 1 million locals and visitors come to Little Italy to enjoy the festivities as well as the array of excellent and expertly prepared Italian fare. In 2018, the festival will celebrate its 92nd year opening on September 13 and run through September 23. The festival runs along Mulberry Street between Houston Street and Canal Street, and on Grand Street between Mott and Baxter Streets. We’ve highlighted a few of our favorite Little Italy restaurants in this feature. Here you’ll find Lombardi’s, the first pizzeria in the U.S.; authentic old world Sicilian recipes at Paesano of Mulberry Street, Fine Italian dining at Il Cortile; go to Little Italy’s original sidewalk café and ask for MAMA, owner and founder at Caffé Napoli...our lady of Little Italy; taste the hand made pasta at Aunt Jake’s and don’t forget Caffé Palermo is home to Baby John, the legendary Cannoli King! If you’re trying to decide where to eat in Little Italy NYC, try a cannoli! Whether you start or end your culinary visit here, Caffe Palermo is a must-do NYC experience. 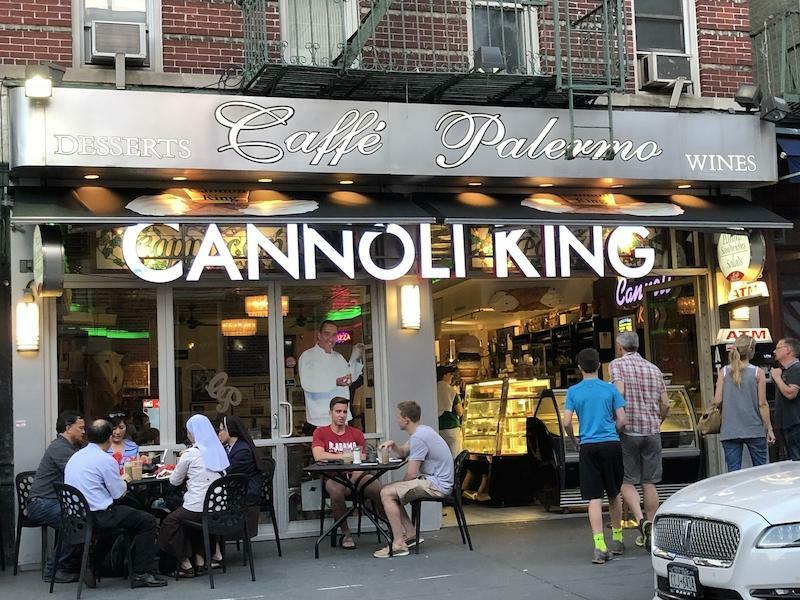 Proprietor Baby John holds the self-appointed but well-deserved crown title of “Cannoli King.” His cannoli are the hands-down, bona-fide and certified best cannoli in New York City. In fact, they are the best cannoli you’ll ever eat! He uses the same magic on the rest of his pastries, including cheesecake, tiramisu and other tasty treats you won’t find anywhere else in the Big Apple. A wide variety of coffees and espresso rounds out the menu. For more than 43 years, Caffe Palermo has been providing the people of New York City and the world over with the finest Italian pastries and the best cannoli money can buy! 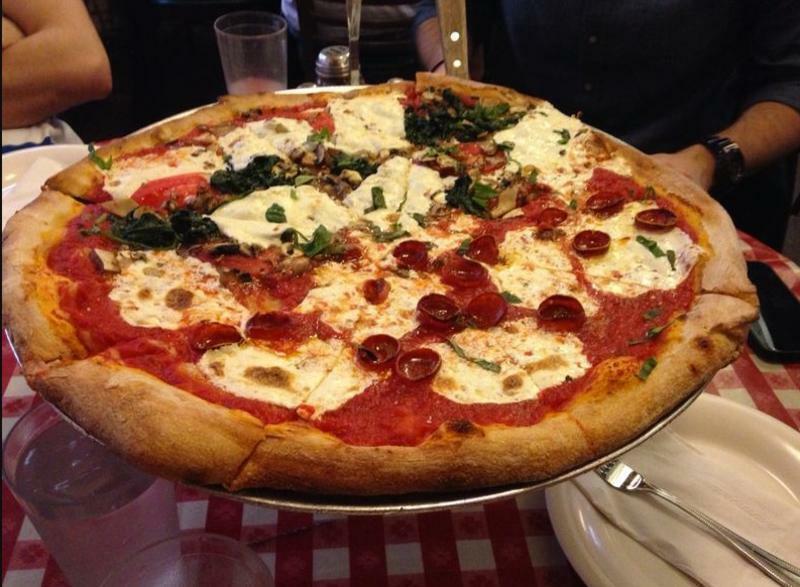 Founded in 1905, Lombardi’s holds the distinction of being the first pizzeria in the United States and also happens to serve up the best pizza in Little Italy, New York City. Located at 32 Spring St., Lombardi’s still offers their original and beautiful smoky-crusted coal oven-baked NYC pizza. Topped with San Marzano sauce, fresh mozzarella and fresh basil, you can literally taste the history here! Other variations of pies and toppings are also offered on the menu, along with delicious salads and calzones. So, while you’re in town exploring the Big Apple, be sure to stop by Lombardi’s – one of the best places to eat in Little Italy, NYC. Just across the street in Little Italy NYC, Aunt Jake’s menu serves up fresh pasta that is handmade daily on the premises. Take your pick of the freshest pasta and then choose one of many delicious sauces available to create your own favorite combination. Chef Carmine Di Giovanni and Nick Boccio opened this unique restaurant in 2016 to rave reviews and the customers keep coming back for more! To complement their fabulous pasta dishes, they offer an extensive list of Italian wines, and the Aunt Jake’s brunch is also popular for its brunch and its much-loved avocado and artichoke toast. You can take out, dine in or enjoy some great people watching from the seating in the front section of the restaurant dining room. Aunt Jake’s is definitely one of the best restaurants in Little Italy NYC. 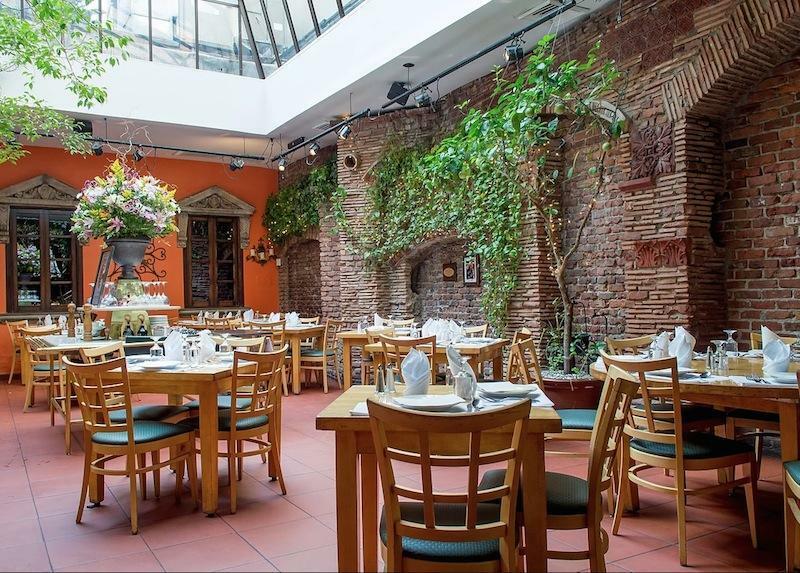 Il Cortile in has been family owned and run since 1975. A neighborhood staple for over 40 years, the Esposito family continues the tradition of sparing nothing to provide the highest quality ingredients in all Cortile dishes. They aspire to bring you new dishes inspired by the very old and the very new in the best tradition of fine Italian cuisine. Without a doubt, this is one of the best dining rooms in the city. Try the Pork Chop. It is divine! Established by Anna Silvestri and Family in 1972, Caffé Napoli introduced the sidewalk cafe in Little Italy. What started as a modest cafe serving only coffee and pastries has matured into a full dining establishment catering to New Yorkers and tourists from around the world. Their menu offers a full array of your favorite Italian dishes in a friendly and authentic setting. The friendly and attentive staff compliment the food perfectly for one of the most memorable dining experiences in NYC. Serving up all the classic Old World Italian menu items, Paesano of Mulberry Street in Little Italy NYC prepares dishes that are prepared traditionally and with love, using only the freshest ingredients served in a romantic candlelit setting. You’ll feel as if you’re in Sicily! Paesano’s is definitely one of the best places to eat in New York City’s Little Italy neighborhood and is open every day for lunch and dinner. It also happens to be one of the best Italian restaurants in New York City, with an impressive menu that includes veal, seafood, chicken, steak, vegetable and pasta dishes, along with fresh salads and a long list of delicious appetizers. Of course, Paesano of Mulberry Street also offers an exceptional wine list to complement all of the mouthwatering menu options!